The first step in developing these protocols is to familiarize yourself with your cleanroom’s classification. This will help you better understand the needs and regulations of your cleanroom which in turn will assist you in establishing proper protocols that will protect you from costly mistakes. Cleanroom protocols should cover everything from hygiene and gowning to behavior, supplies, housekeeping, and assessments. Personal hygiene and the products used by those who enter the cleanroom are major contributors to the room’s cleanliness. Everyone who enters the room should be clean and clean-shaven and free of makeup, hair products, perfumes, and lotions. Hands should always be washed as well. Coveralls or a gown and scrubs are typically worn over everyday clothes in addition to shoe covers, bouffants, goggles, face masks, and gloves. Wearing the proper attire in a cleanroom important, but so is the way those cleanroom garments are put on and taken off. For example, bouffants should be put on before gloves to avoid touching your face or hair with the gloves. A tacky mat should be stepped on before putting on shoe covers, and another tacky mat should be stepped on after putting on shoe covers and before entering the controlled environment. Whatever the protocol for gowning is for your particular cleanroom, it should be strictly adhered to, and the reverse should be done upon exiting the cleanroom. Attire should then be properly disposed of or stored in the proper receptacles. When hiring new personnel, it’s important to screen them meticulously. For example, smokers bring residual smoke particles into the cleanroom. Facial hair needs to be able to be completely covered. Things like claustrophobia, obesity, allergies, and temperature sensitivities can also play roles in a person’s ability to tolerate cleanroom conditions. Once personnel are hired, they need to be trained on how to behave in a controlled environment. This includes things like keeping doors closed, moving in a controlled manner, and exiting to cough or sneeze. A huge part of proper cleanroom protocol is housekeeping — that is, keeping the cleanroom clean. This protocol should cover everything from solutions and equipment to documentation and auditing. The protocols in place and how well they’re being adhered to needs to be regularly assessed to ensure the cleanroom is being properly maintained and regulations are being met. 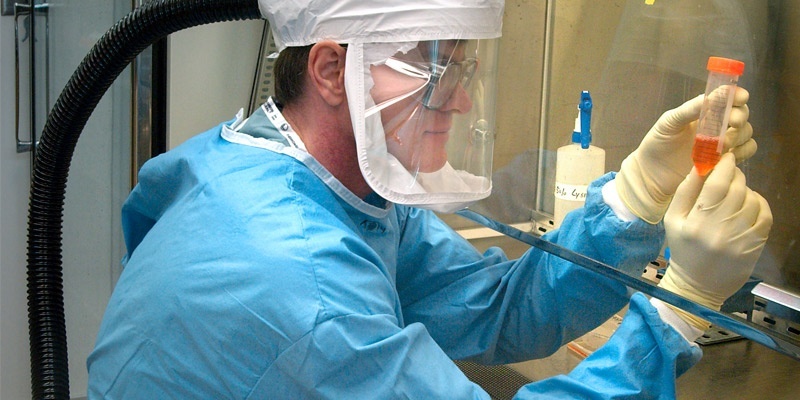 Any violation of proper cleanroom protocols can result in major setbacks for your organization. You could lose money spent on labor and materials if the goods you produce become contaminated. There is also the risk of lawsuits if contaminated goods are distributed or you fail audits and quality checks. You can lose valuable production time if employees or third parties aren’t properly trained to execute protocols. Don’t take any chances. Set your organization up for success by knowing the ins and outs of your cleanroom’s specific requirements, establishing all necessary protocols, and being diligent about ensuring those protocols are consistently followed. Download our cleanroom cleaning process guide to learn more about the bases you need to cover in your cleanroom today.